Known in the magical fraternity as "The Professor," Vernon was honored as "The Patriarch of Magic" and "The Man Who Fooled Houdini." Can You Identify this Magician? 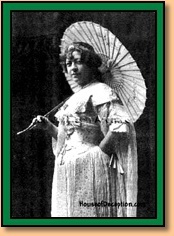 Wife of Alexander, Herrmann had a very long career in show business; credited with presenting the first silent magic act, predating Goldin's. Fox was a hilarious comedic magician and a perennial audience favorite worldwide. 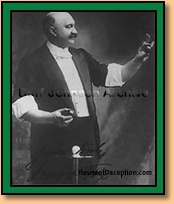 After Kellar's death Powell was honored as "Dean of American Magicians"
Downs was the undisputed "King of Koins," a master manipulater with dexterity perhaps unequalled to this day. Thorn presented "An Hour in Dreamland" during a very long run as a globetrotting illusionist. Born in San Francisco, Hertz did not achieve his great success until venturing to England. 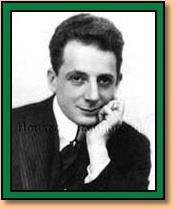 Goldin was a very successful contemporary of Thurston known for his fast-paced silent act. Though not a great magician, more has been written about Houdini than any other performer of his era. See our Magic Links page for the best Houdini websites. Gwynne was highly regarded as a successful, skilled vaudevillian with an immaculate show and stage presence. 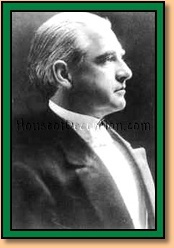 Blackstone enjoyed great success in the vaudeville and movie theaters, best known for his Dancing Hankerchief, Vanishing Canary and Cage, and The Bear Illusion. Performances we would recognize as conjuring have probably been practiced throughout history. The same ingenuity behind ancient deceptions such as the Trojan horse would have been used for entertainment, or at least for cheating in gambling games, since time immemorial. However, the respectable profession of the illusionist gained strength during the eighteenth century, and has enjoyed several popular vogues. Successful magicians have become some of the most famous celebrities in popular entertainment. From 1756 to 1781, Jacob Philadelphia performed feats of magic, sometimes under the guise of scientific exhibitions, throughout Europe and in Russia. Modern entertainment magic owes much of its origins to Jean Eugène Robert-Houdin (1805-1871), originally a clockmaker, who opened a magic theatre in Paris in the 1840s. His speciality was the construction of mechanical automata which appeared to move and act as if they were alive. The British performer J N Maskelyne and his partner Cooke established their own theatre, the Egyptian Hall in London's Piccadilly, in 1873. They presented stage magic, exploiting the potential of the stage for hidden mechanisms and assistants, and the control it offers over the audience's point of view. 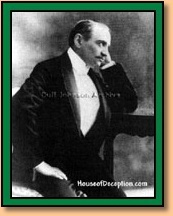 The greatest celebrity magician of the twentieth century (or possibly of all time), Harry Houdini (real name Ehrich Weiss, 1874 - 1926), took his stage name from Robert-Houdin and developed a range of stage magic tricks, many of them based on escapology (though that word was not used until after Houdini's death). 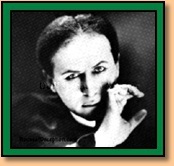 The son of a Hungarian rabbi, Houdini was genuinely highly skilled in techniques such as lockpicking and escaping straitjackets, but also made full use of the whole range of conjuring techniques, including fake equipment and collusion with individuals in the audience. 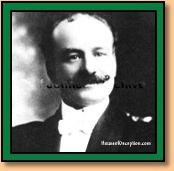 Houdini's showbusiness savvy was greater than his performing skill. There is a Houdini Museum dedicated to him in Scranton, PA. In addition to expanding the range of magic hardware, showmanship and deceptive technique, these performers established the modern relationship between the performer and the audience. In this relationship, there is an unspoken agreement between the performer and the audience about what is going on. Unlike in the past, almost no performers today actually claim to possess supernatural powers (although there are exceptions to this, they are regarded as charlatans). 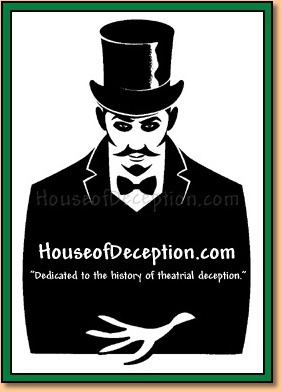 It is understood by everyone that the effects in the performance are accomplished through sleight of hand (also called legerdemain), misdirection, deception, collusion with a member of the audience, apparatus with secret mechanisms, mirrors, and other trickery (hence the illusions are commonly referred to as "tricks"). The performer seeks to present an effect so clever and skilful that the audience cannot believe their eyes, and cannot think of the explanation. The sense of bafflement is part of the entertainment. In turn, the audience plays a role in which they agree to be entertained by something they know to be a deception. Houdini also gained the trust of his audiences by using his knowledge of illusions to debunk charlatans, a tradition continued by magicians today such as James Randi and Penn and Teller. Magic has come and gone in fashion. Today, the art is enjoying a vogue, driven by a number of highly successful television and Las Vegas performers. 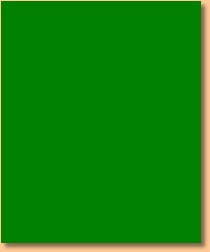 Many of the basic principles of magic are comparatively old. There is an expression, "it's all done with smoke and mirrors", used to explain something baffling, but contrary to popular belief, effects are seldom achieved using mirrors today, due to the amount of work needed to install it and difficulties in transport. For example, the famous Pepper's Ghost, a stage illusion first used in 19th century London, required a specially built theatre. Harry Houdini led the field of vanishing large objects, by making an elephant disappear on stage, although not using mirrors, and modern performers have vanished objects as big as the Taj Mahal, Statue of Liberty, and the Space Shuttle, using other kinds of optical deceptions. In modern conjuring, it is not considered fully honest to give a performance which claims to be anything other than a clever and skillful deception. In today's skeptical world, claims of actual supernatural powers would likely be greeted with ridicule, although many people believed that the hugely successful 1970s illusionist Uri Geller had a paranormal ability to bend spoons, for example. Other performers have capitalized on popular belief in ESP and other paranormal phenomena as a way of presenting magic tricks. However, there are dishonest performers who use the techniques of conjuring for fraudulent goals. Cheating at card games is an obvious example, and is no more than a form of theft. During the height of the vogue for spiritualism and the wave of popularity for séances in the late 19th century, many fraudulent mediums used conjuring methods to perform illusions at séances designed to convince those present of actual supernatural events, for financial gain. 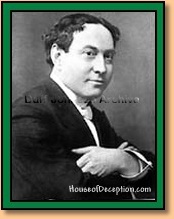 The great escapologist and illusionist Harry Houdini devoted much of his time to exposing fraudulent mediums. Spiritualists and mediums at work today tend to shy away from effects such as making knocking sounds in darkened rooms, and objects apparently moving without being touched, as these were devices often used in the past by fraudulent practitioners. Many simple conjuring tricks continue to be used to defraud the innocent, however often they have been exposed and debunked. The three card trick, also called "Find the Lady" or "Three-card Monte", is an old favorite of street hustlers and conmen; also, the shell game, in which a pea is hidden under one of three walnuts. Although these are well known as frauds, some people are willing to lose money on them just for the entertainment value. There are other street hustles which use conjuring techniques and methods such as misdirection to commit theft. 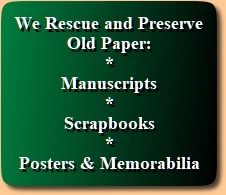 The above articles are adapted and edited by the House of Deception from Wikipedia Encyclopedia and may be read in their original, uncredited form at Wikipedia.org. 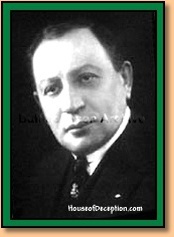 Below are pictures of Famous Magicians of the Golden Age, 1875-1948, and a brief history of magic (stage conjuring). If you have photos of noted Golden Age magicians you would like to see included here, please contact us. 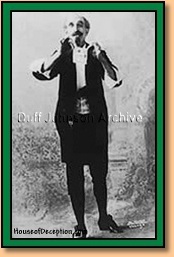 A talented Vaudeville showman, Leon was known as a gifted inventor of illusions, including The Doll House. Like Nicola and Raymond, Carter found it more profitable to work abroad rather than to compete with Kellar or Thurston. He made a fortune.